Extremely comfortable and upmarket cabin. Lots of technology including mild hybrid system helping fuel economy. Not the most daring styling, just more of the same. Unresponsive 8-speed torque converter auto with 3.0 V6 TDI. 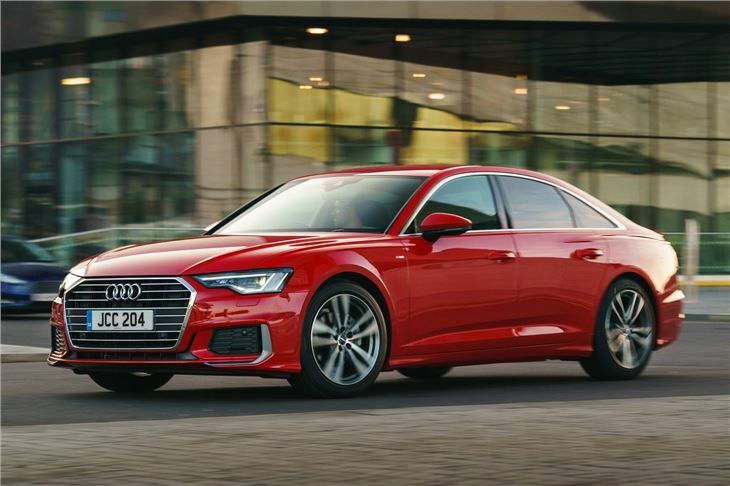 As a comfortable, premium vehicle for covering high mileages, there's not much on the market that'll do the job quite as well as the Audi A6. 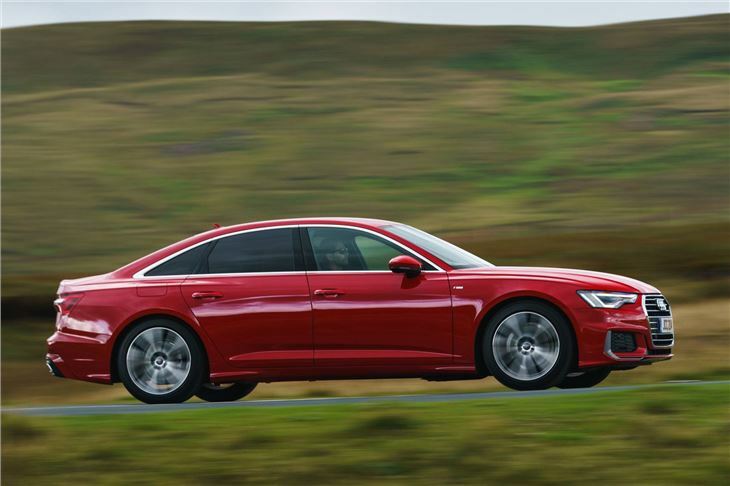 It strikes the balance of waftiness and driving dynamics just right, while technology (and a platform) shared with the A8 means the A6 has got plenty of gadgets to keep passengers entertained. 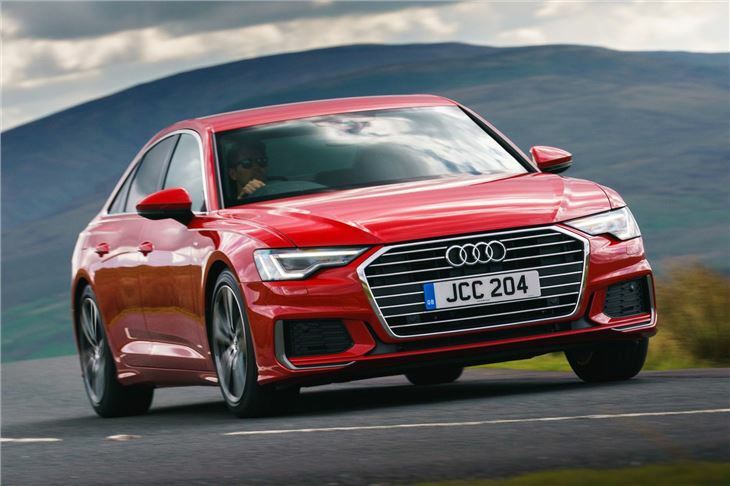 All engines - a four-cylinder diesel and a range of six-cylinder petrol and diesels - come with a mild-hybrid system allowing the car to coast under electric power in certain conditions. The most complimentary thing we can say about this system is that the majority of drivers won't notice it. The engine seamlessly drops out during coasting, improving refinement as well as giving fuel economy a boost. 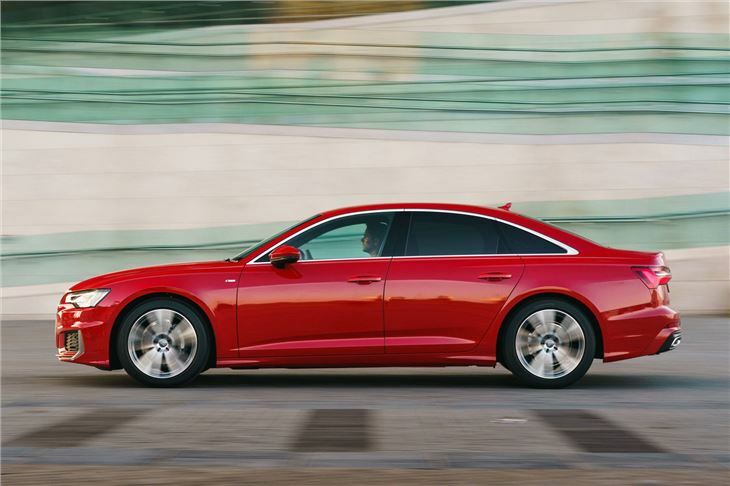 No matter which engine you choose, the A6 is a relaxing car to drive. All models come with progressive steering, which makes the steering quicker the more you wind on lock, while all-wheel steering is available as an option. This turns the rear wheels in the opposite direction of the front at low speeds to reduce the turning circle, while it does the opposite at high speeds in a bid to increase stability. While the steering isn't the last word in feedback, the ride quality is very good - even on larger alloy wheels. There are no fewer than four different suspension options available, but all generally provide a soothing ride without being excessively floaty. 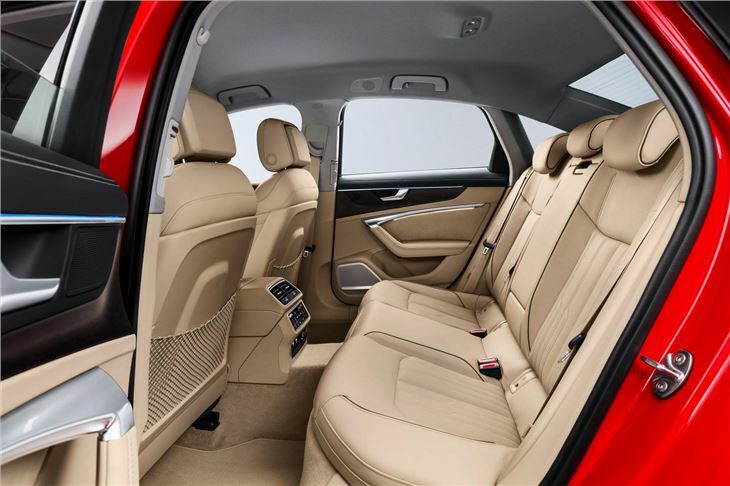 Where the A6 excels is its interior. It's not as flashy as an E-Class, but it's pleasingly modern with everything well laid out. All models come with a twin-screen infotainment system - the usual touchscreen display in the centre of the dash providing access to navigation, DAB radio and the like, with another one below it providing access to climate features. Both screens use haptic and acoustic feedback, so users hear and feel a click as soon as their finger triggers a function. Strange, but it adds to the premium ambience. 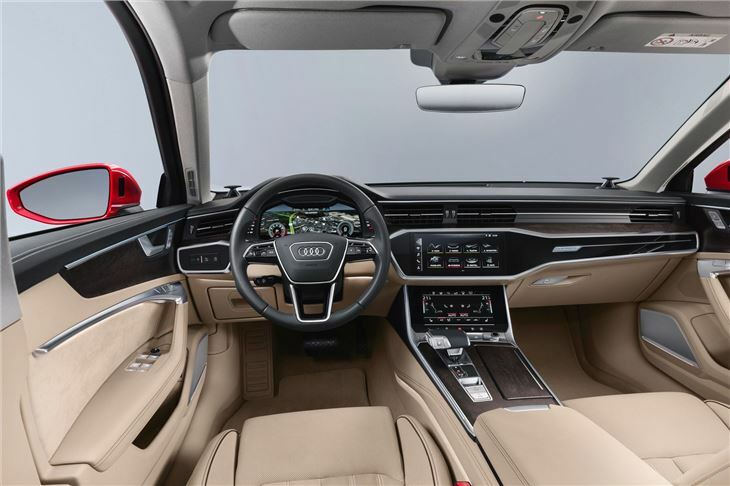 Audi's Virtual Cockpit is also available as part of the optional Technology Pack, replacing the conventional dials behind the steering wheel with a configurable display, allowing to prioritise navigation or the speedo and rev counter. 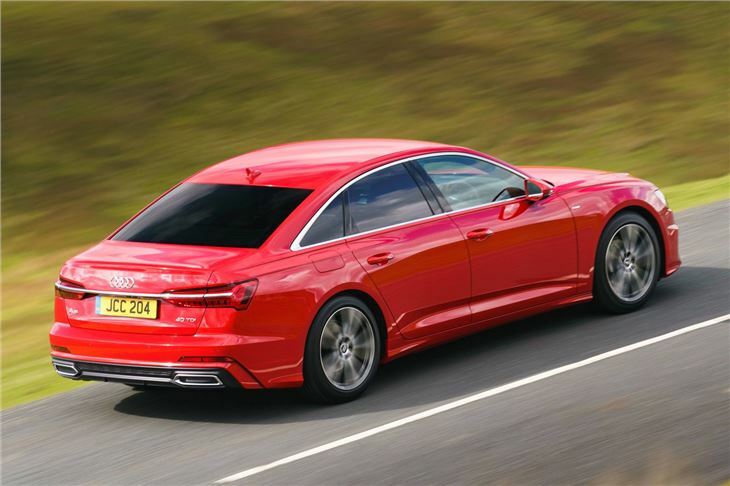 The biggest issue with the Audi A6 is its price. It may start in the region of £40,000, but you could easily spend £20,000 more by the time you've chosen a desirable engine and a few option packs. That said, you get what you pay for, and premium rivals are equally expensive.